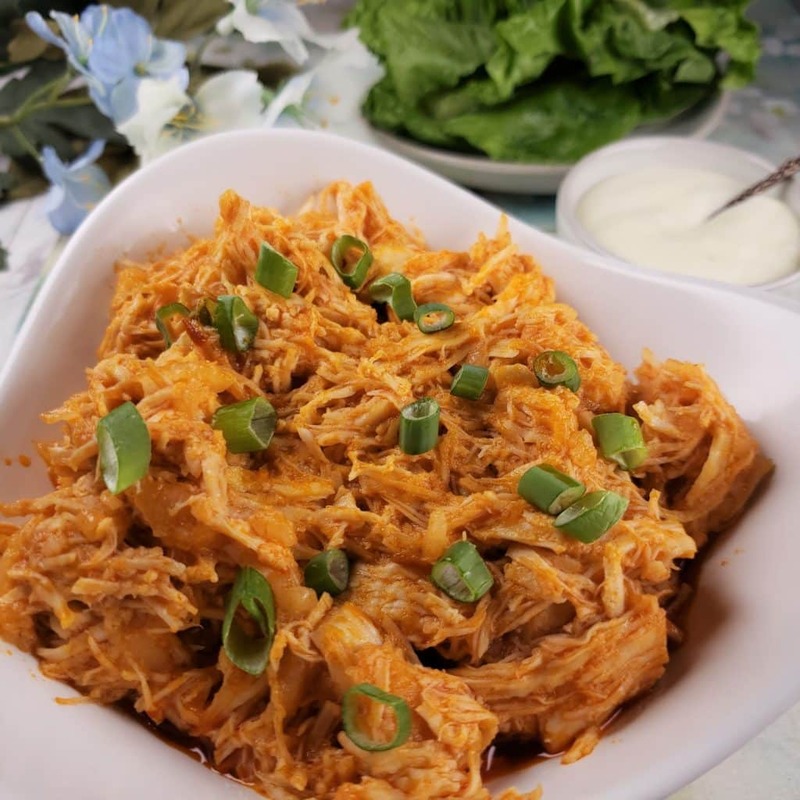 My quick and easy Pressure Cooker Shredded Buffalo Chicken can be enjoyed in on a salad, rolled up in lettuce, over cauliflower rice, as a sandwich and more. 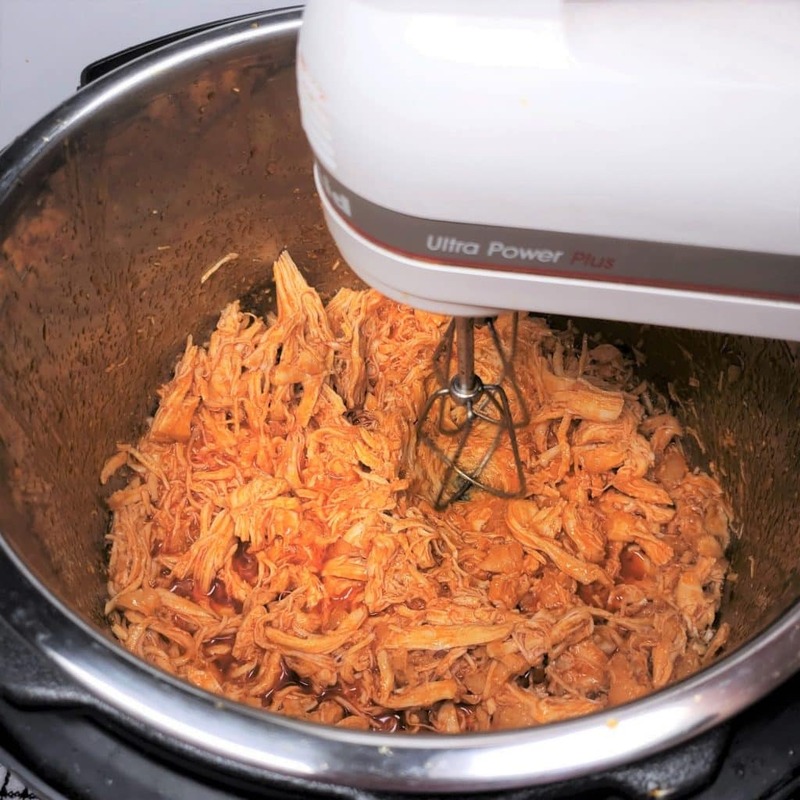 My Pressure Cooker Shredded Buffalo Chicken recipe is perfect for low carb, keto and weight watchers diets. The flavor profile is high and satisfying. Add a couple of spoonfuls to a lettuce leaf for a quick hunger satisfying snack. Mix it with cream cheese for a high fat/protein dip. 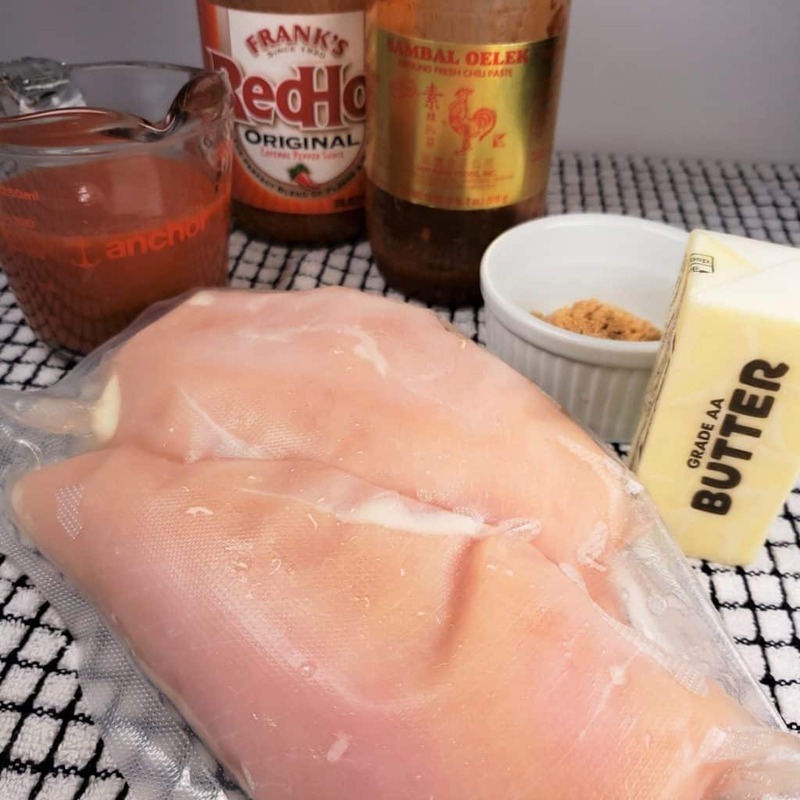 Based on my very popular Better than Hot Wings Cafe Air Fryer Hot Buffalo Chicken Wings recipe, this is an easy dump everything into the Instant Pot, Mealty MultiPot or Pressure Cooker and set the time! With only a few ingredients, this Shredded Chicken recipe will be your new best friend. It can be made mild to spicy; you choose. Franks RedHot Sauce – This hot sauce is pure hot sauce and different from the Franks RedHot Wings Sauce, which uses butter flavoring. Butter – Butter is what determines the heat. More butter = less heat. Less butter = more heat. Worcestershire Sauce – The Worcestershire Sauce kicks up the flavor a notch. It works similarly to how a touch Fish Sauce gives food a deeper and richer flavor. 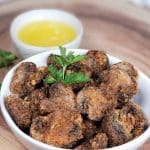 Brown Sugar or Surkin Brown Sugar Low Carb substitute – Adding a sweetener to hot sauce, brings out the flavors of the chilis a bit more. This is totally optional. It also helps the sauce cling to the chicken. I prefer not to use a sweetener, but my husband does like to use it, so as a compromise, I just add a tiny amount of the Surkin Brown Sugar Low Carb substitute to keep it low carb. Tips and Tricks for Pressure Cooker Shredded Buffalo Chicken. 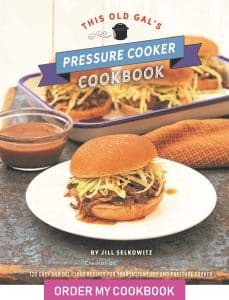 Chicken releases a lot of water during pressure cooking, so don’t be tempted to add more liquid. Use more butter for a milder heat. More hot sauce will give a hotter flavor. Medium heat is usually the perfect heat profile for most people. The liquid will absorb during shredding. 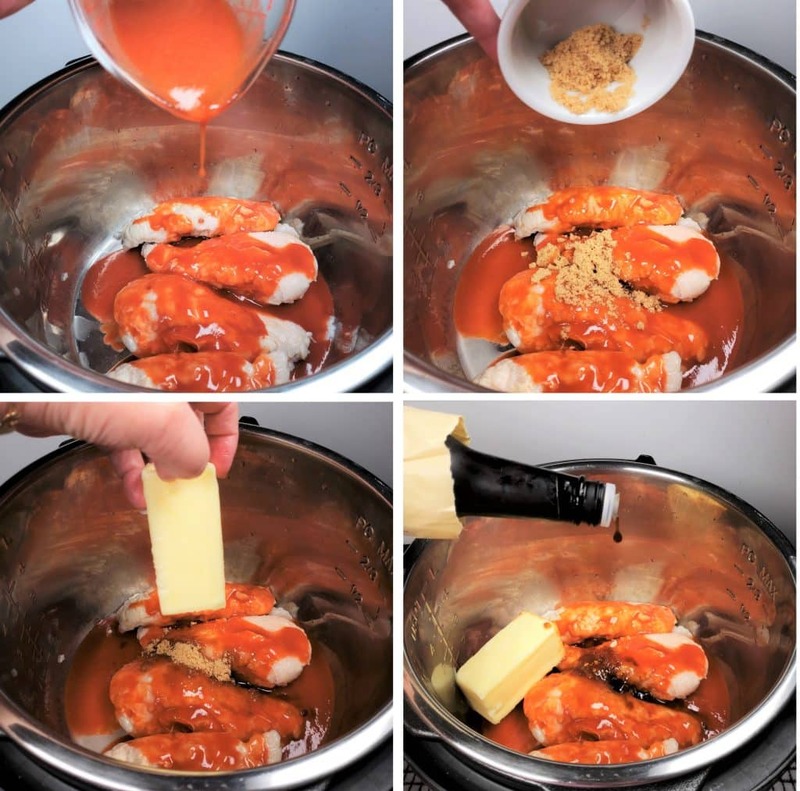 Mix in 4 ounces of cream cheese during shredding for a Hot Buffalo Chicken Dip. 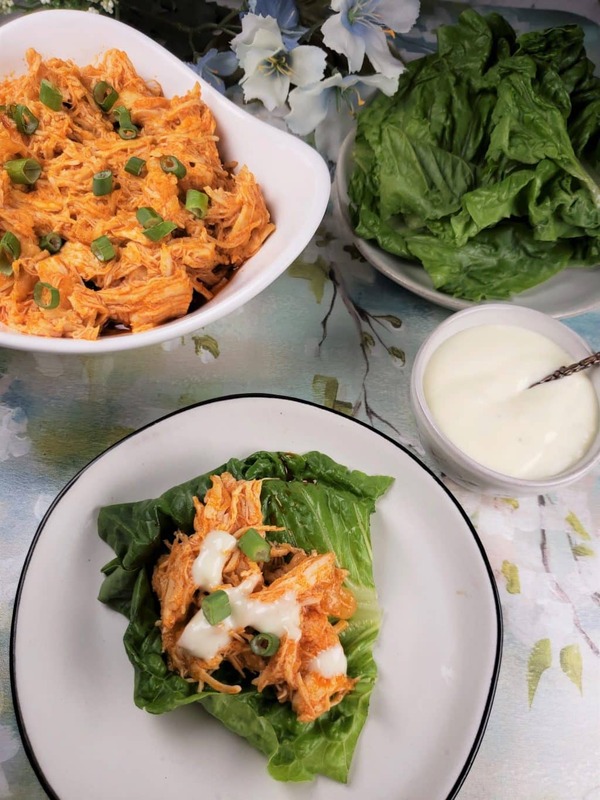 How to Eat Shredded Buffalo Chicken. In a cool piece of romaine, bibb or other type of lettuce leaf! 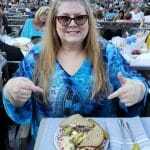 With a dollop of blue cheese dressing. Celery sticks on the side. Use two forks or Meat Claws to shred the chicken. It will shred pretty easily, but…………. 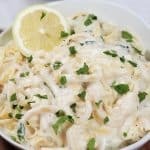 Simply use am electric handheld mixer and in a few seconds, perfectly shredded chicken. 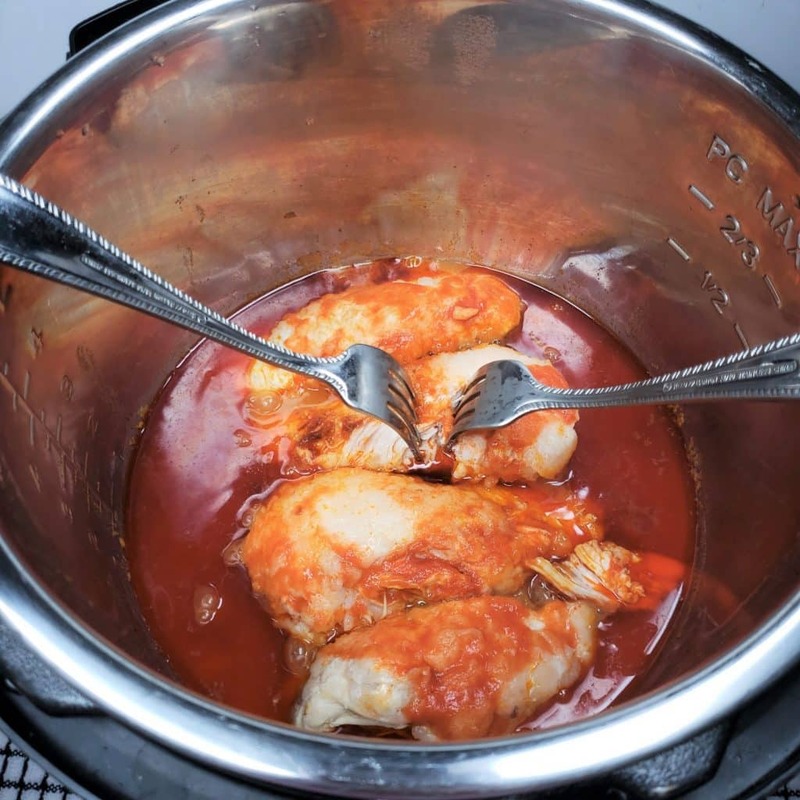 As you are shredding, the liquid will incorporate with the chicken and keep it juicy. For a less saucy result, you could always simmer is a bit. Using a Hand Held Electric Mixer to shred the chicken will change your world. Pretend you did not notice that I first said 5 seconds and then said 5 minutes. It’s super fast and you can shed the entire pot in less than a minute. 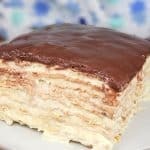 More Low Carb Recipes to Try. 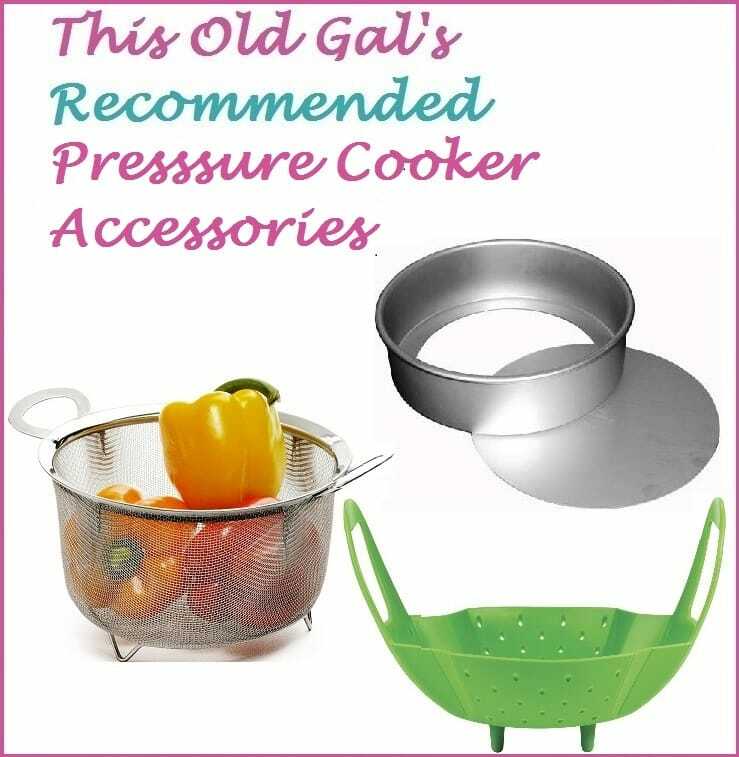 Add all ingredients to pressure cooker cooking pot. 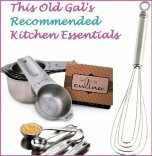 Use an electric hand mixer and shred the chicken in the cooking pot. The sauce will absorb into the chicken. 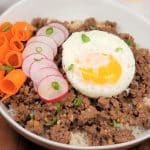 If not following a low carb or Keto diet, see my Pot in Pot Rice Recipe. Photos show breasts cut in half, but go a head and cut them into chunks. Thank you for this recipe. It was delicious. Everyone loved it and we plan on adding it to our weekly rotation. We decided to make sliders. Hello. Looking forward to trying this recipe. How much butter do you use for medium heat? The recipe says 4 – 6 ounces, which would be 1 – 1.5 sticks of butter. However, your photo looks more like 3/4 stick. (Just don’t want to use too much and dilute the heat or too little and have our mouths on fire.) Thank you for your help.